If you liked this show, you should follow The Love Zone USA. 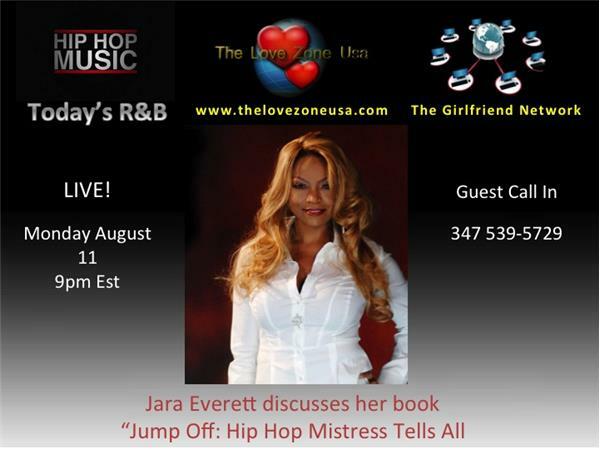 Jara Everett has been sexually involved with some of hip hop's best and known artists, along with some celebrities. She brought the truth to the light in her book "Jump Off: Hip Hop Mistress Tells All," despite the opinions of her exes. Some of these names and details will be discussed live!